In a competitive and growing market like Romania, Syswin Solutions has managed to differentiate itself from competition through advanced devices developed by our passionate engineers and researchers. Using the Machine to Machine and Internet of Things technologies, the devices transfer data to each other or to the central management system in an autonomous and often real-time manner, opening up a new world of opportunities for business efficiency and agility. 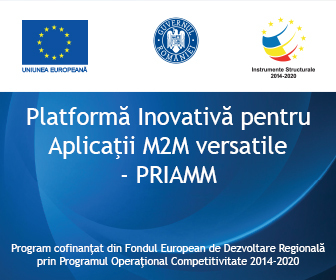 The company’s potential was highlighted in 2016 when it benefited from a € 1 million grant from the European Union through the Competitiveness Operational Program for the development of the PRIAMM project: an innovative platform dedicated to applications in smart industries. Currently, Syswin Solutions vision is to develop IT products to improve the quality of life. Production ranges from small devices to large-scale acquisition and automation systems such as security, logistics, agriculture, air and water quality monitoring, traffic and parking monitoring. The products are fully developed in the company, both hardware and software, from the concept stage to the final product, which allows the ingenious ideas to be implemented throughout the production process. Innovative spirit is reflected in scientific work and in numerous awards at inventory for the originality and efficiency of products. In the future, Syswin Solutions aims to gain more visibility in both the IT market and national and international events and competitions.